Sparkling water and rosé are all the rage when it comes to the cooler drinks in town, but when you want to snuggle up and get cozy, colorful, warm milk is where it's at. We were first drawn into the trend with turmeric-spiced golden milk, but there's a new colorful concoction in town that's ready to give you the best beauty rest of your life. It's called pink moon milk, and it's as tasty as it is gorgeous. But it's more than just a drink. 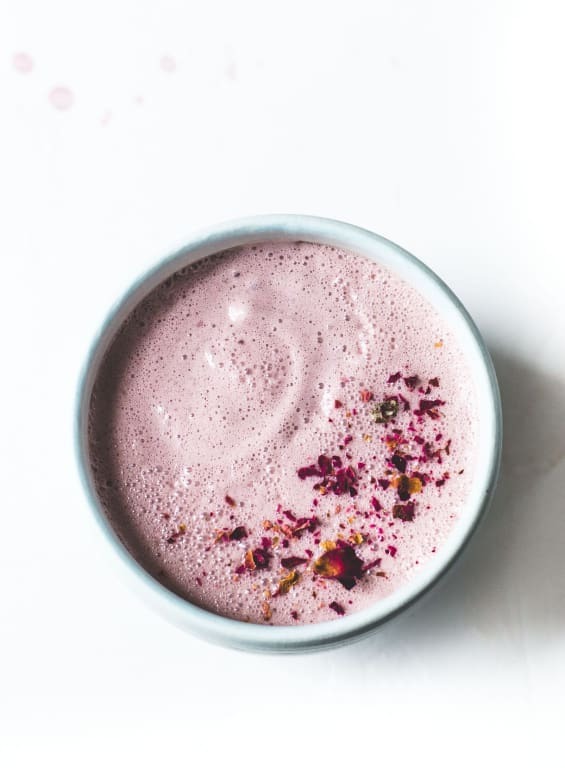 Pink moon milk is a "functional" food, meaning its ingredients have certain properties that affect the way you feel. In this case, tart cherry juice is the secret ingredient. Tart cherry juice is one of the few foods that naturally contain the sleep hormone melatonin. 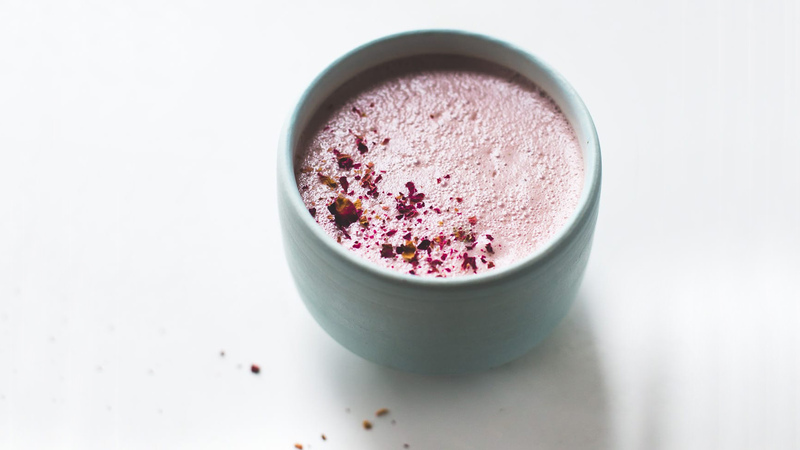 Instead of taking a supplement, you can sip this pink moon milk before bed to soothe your nerves and relax. Combined with creamy almond milk and honey or maple syrup, the tartness of the cherry juice is perfectly mellowed to become a luxurious before-bed drink. Ashwagandha powder is an optional ingredient. It's considered to be an adaptogen by herbalists, meaning it helps balance the body, normalize its processes and protect against stress. More: Does Melatonin Really Help You Sleep? Interested in trying it for yourself? You can make your own. The most essential elements of this recipe are the tart cherry juice and nondairy milk (cow's milk is harder to digest, especially right before bed). In a small pot over low heat, bring the almond milk and tart cherry juice to temperature, around 140 degrees F (just below scalding), around 5 to 10 minutes. Remove it from heat, and whisk in honey and ashwagandha. To make it really frothy, pour the contents into the blender and blend on high for a few seconds until you get the desired texture, but that step is optional and can cool off your mixture. Top with rose petals and drink warm. Not a fan of warm, milky beverages? Try making mulled tart cherry juice, simmering it gently with herbal tea, honey, cinnamon and orange slices instead. The next time you want to reach for that bottle of Tylenol PM, think again. Maybe a mug of pink moon milk is all you need to send you off to dreamland.